This even wasn't well advertised locally. I was lucky to have found out about this a few days prior to the event. Just happy that I was able to purchase tickets at the door, as I wasn't sure I could even do that. 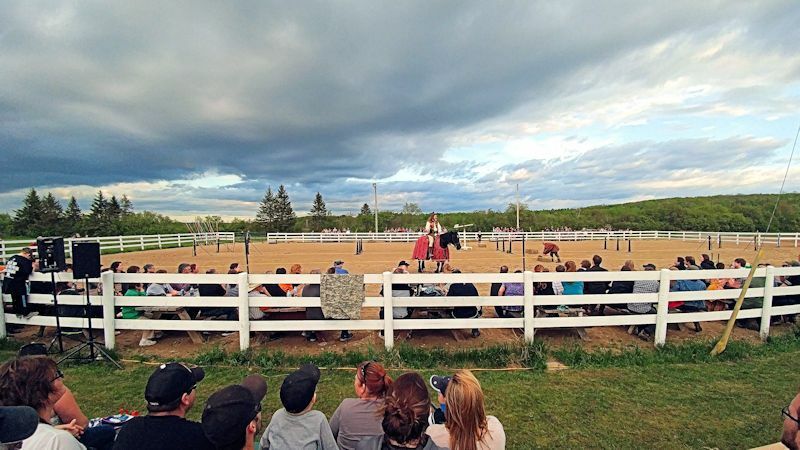 Anyhow, the Knights of Valour made a tour at the local Laird fairgrounds in Echo Bay Ontario. I recall watching a show called Full Metal Jousting on the History channel a few years back. I enjoyed this reality based show, but it only was on for a season. I guess not many cared for it, but I was somewhat of a fan of the show possibly because I like that sort of stuff. I mean, I do collect swords for a reason. Anyways, I guess these are the same group of guys. 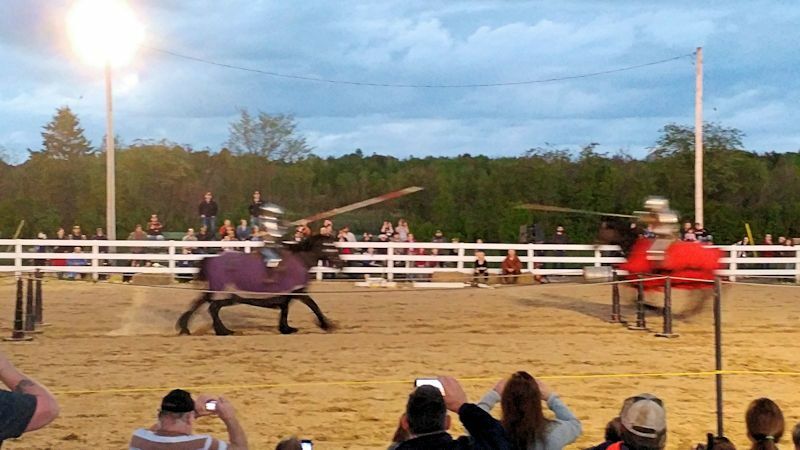 I was stoked just to see what real jousting would look like up close. It was exciting to say the least. Now, I only brought my camera phone. I just can't believe how cell phones are killing cameras. I wasn't at all pleased with the lack of capability my cell phone camera has compared to a good dedicated camera with some fast glass. I just say this because these photos were taken with my G5...so please forgive the lack of quality. Any motion in the low lighting caused plenty of blur. It was an interesting event. 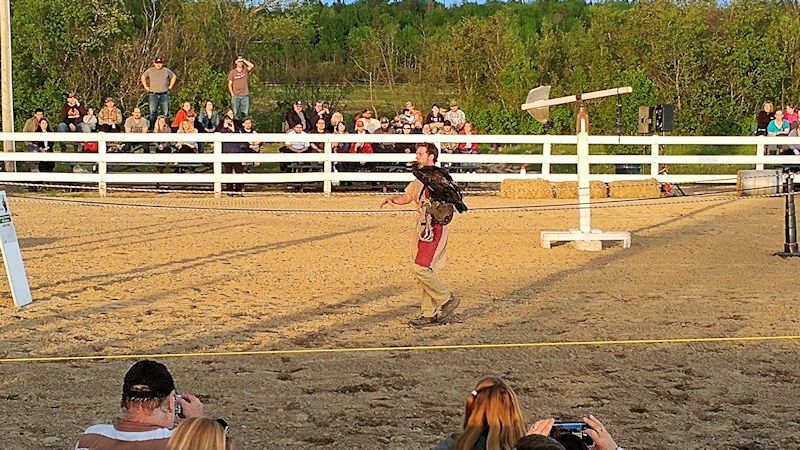 There was a pair fighting, then it went into a hawking demonstration with several birds. 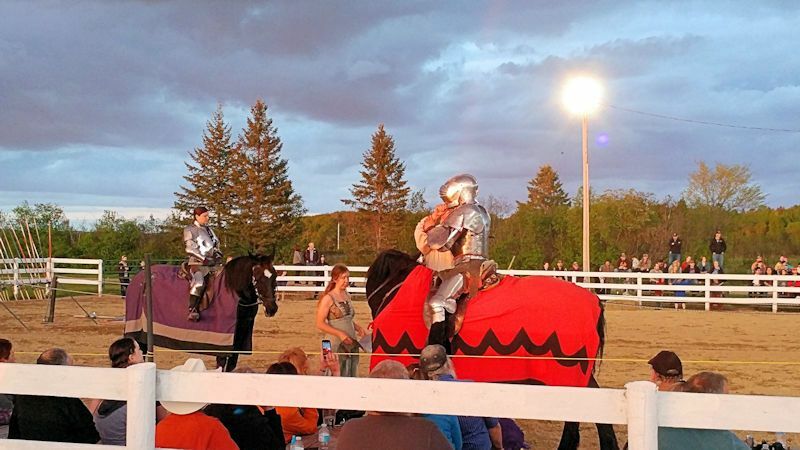 Afterwards, 5 knights came out in armor and competed and jousted. 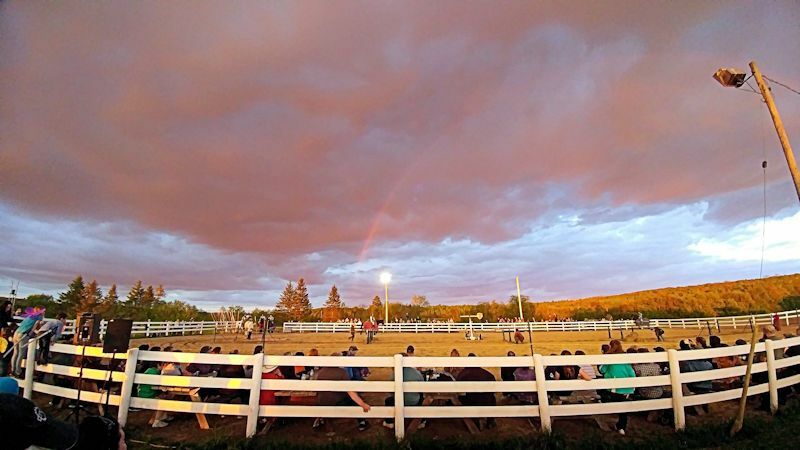 The event ran from 8 to 9:30. Just happy to have made it. Not so happy that the souvenir shop didn't sell any wall hanger swords. Plenty of wooden play swords for the kids though. 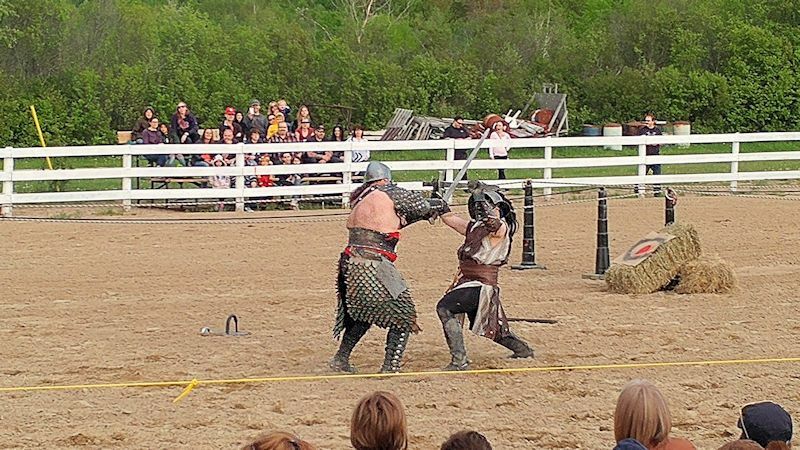 Love jousting... especially full contact like the Knights of Valour do .